Can't help admiring your Staffy's beauty? Do you want to make it more elegant and good-looking? 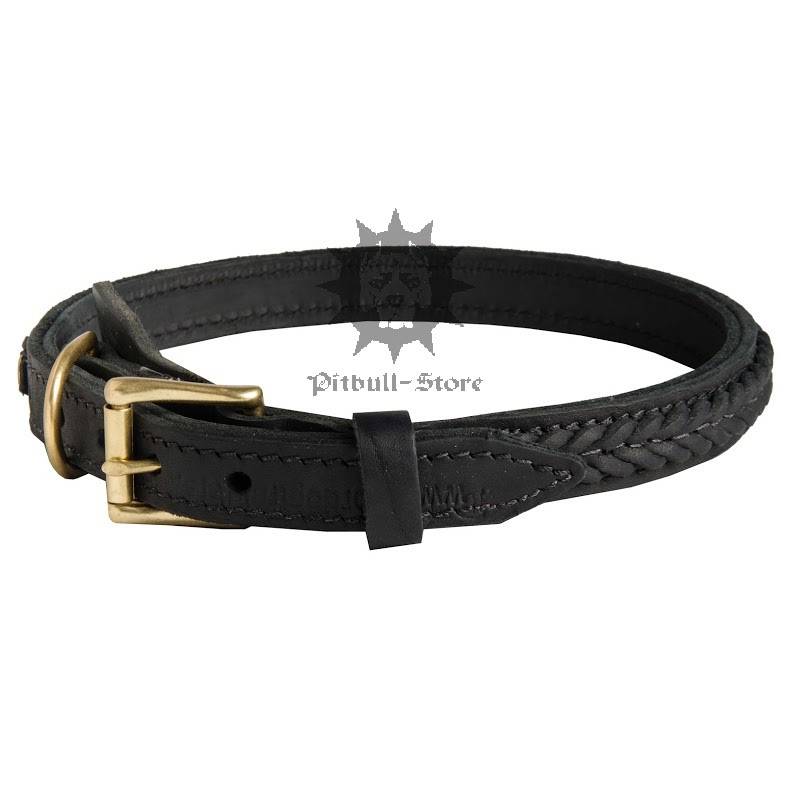 Single out it with our elegant braided leather dog collar. 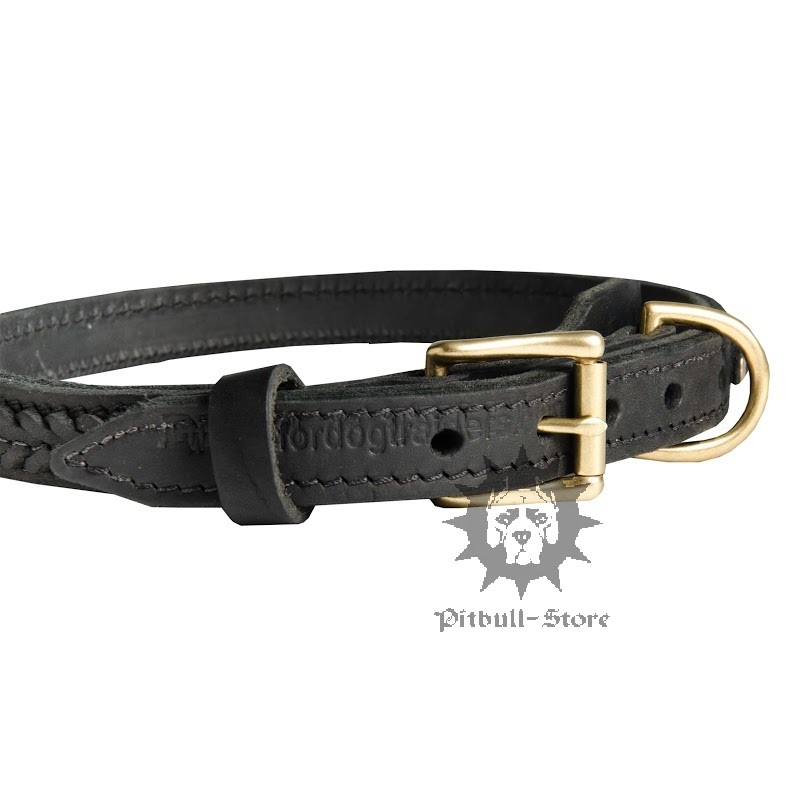 2 ply genuine leather with brass hardware make this collar perfect dog accessory for walks in style and your dog's daily activity. 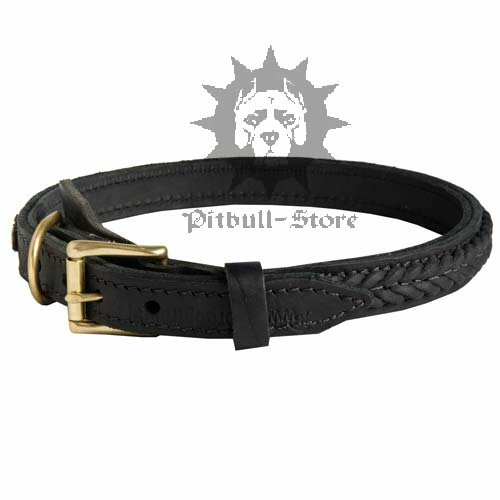 In addition, our soft leather dog collar with braids is hand crafted. 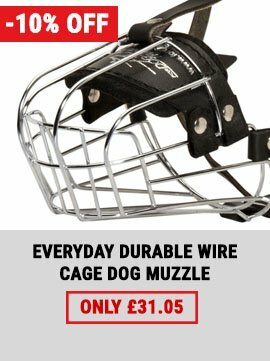 Our braided leather dog collar is rather strong. 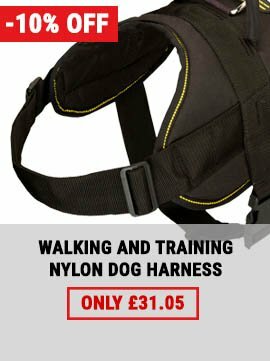 You can be sure, even if your Staffy is a hard puller or it jerks abruptly, you can manage it. 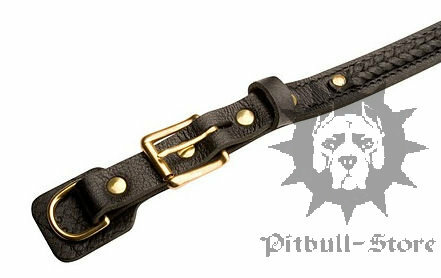 This soft leather dog collar won't tear and brass buckle and D-ring can withstand even great load. 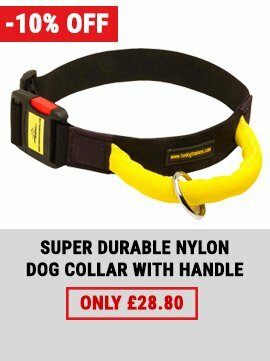 The collar is stitched for additional confidence and hand set with brass rivets. 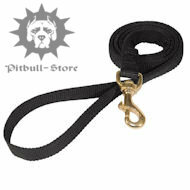 But every Staffy and Pitbull owner knows, that pure leather dog accessories need special care. 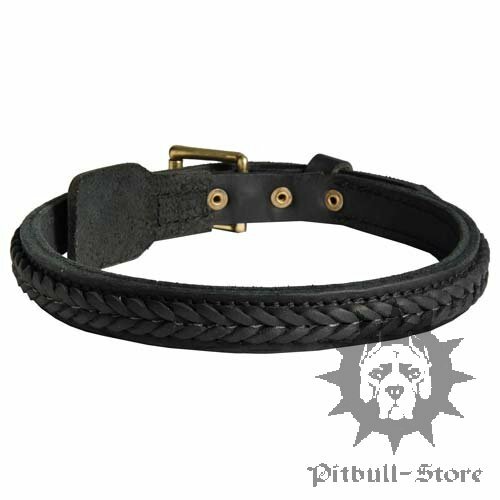 Reduce contact of this braided leather dog collar with water and don't dry it close to heating devices. Don't forget to lubricate it regularly with a leather care balsam for its long service term. 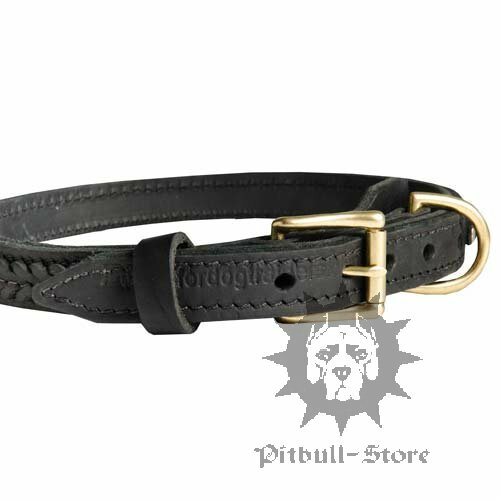 See also our selected leather collars for Pitbull in our online dog store.